Welcome to the State of Delaware's secure online pay information system. As a State of Delaware retiree, you have been given secure access to view and print your current and past pay information. Access to your pay information is a two-step process for new users. You first register as a new Single Sign On (SSO) user and then subscribe to access your records. Retirees must complete and submit an Address Change form to the Office of Pensions to have your address updated. Retiree Self Service will be unavailable during the following time for maintenance. CRIS (PeopleSoft) will be unavailable during the following time for maintenance. Thursday, October 4, 2018 from 5:00p.m. until Friday, October 5, 2018 at 5:00p.m. Retirees who retired prior to October 2013 must contact the Office of Pensions to request to view your pay advice on-line. Once you have access to view your pay advice on-line, you will no longer receive a paper copy in the mail. If you have already registered, select the button below. 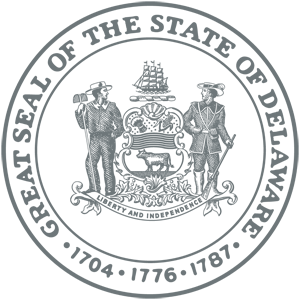 Once signed in, you will be directed to the State of Delaware Sign-On (DE-SSO) page. 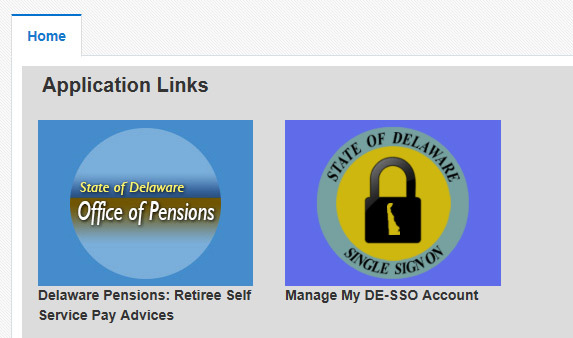 Click on the Delaware Pensions: Retiree Self Service Pay Advice – click here to view on-line advice. Please select the item below to expand. The Single Sign-On System was upgraded on April 23, 2017. If you have previously registered and subscribed, when you login you will see a new look and navigation. Please refer to the instruction guides for further assistance. All items below are PDF files. Download Acrobat Reader here if you don't have it. You will also need the latest version of Java. Download Java here. Click on the device that you are using to find out how to clear the cache. The following internet browsers are supported by SSO. Click on the device that you are using to find out how to turn off the pop-up blockers.